Life brings spiritual, physical, emotional, and mental obstacles that test and challenge our goals and desires. With Kathryn Chamberlin, you will find a comfortable, non-judgmental, peaceful place to explore your tests and challenges. She has a great passion for walking with you on your unique journey - a journey of becoming more the person you were created to be. Individual therapy will begin with an initial consultation. This meeting provides a chance for you to get to know her as a therapist and for her to gain an understanding of your individual needs and plan your time with her according to your concerns. 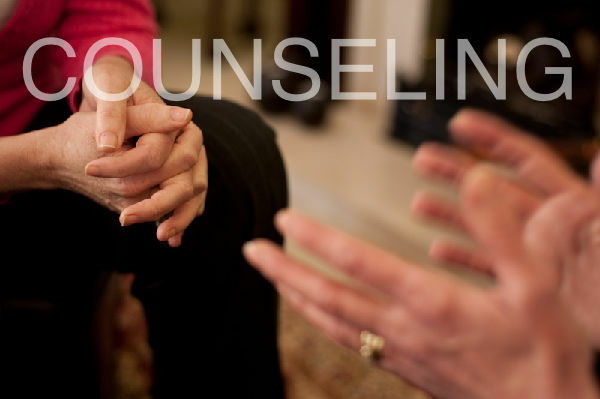 Individual counseling provides a safe, secure, non-judgmental place in which you can confidentially explore virtually any aspect of your life. This could include any number of subjects without any social pressures or taboos. Find with Kathryn a sanctuary to completely be yourself, enjoying total confidentiality. Kathryn Chamberlin is a licensed certified clinical social worker, in private practice for psychotherapy with adults, engaged or married couples and families. She holds a nursing degree from the University of Virginia, a master of social work degree from The Catholic University of America, and Certification in Biblical counseling. Kathryn has been commended twice by Ephesians Life Ministries, Inc. for service and support. Her classes, seminars, and retreats have included the following topics: Spiritual Gifts, Speaking the Truth in Love, Self-esteem, Co-dependency, Communication, Domestic Violence, Sexual Addiction, and The Myers-Briggs Temperament Inventory. She and her husband have seven adult children, fourteen grandchildren, and are members of Fourth Presbyterian Church in Bethesda, Maryland. Kathryn Chamberlin LCSW-C is in private practice for psychotherapy with adults, engaged or married couples, and families. Read more here.